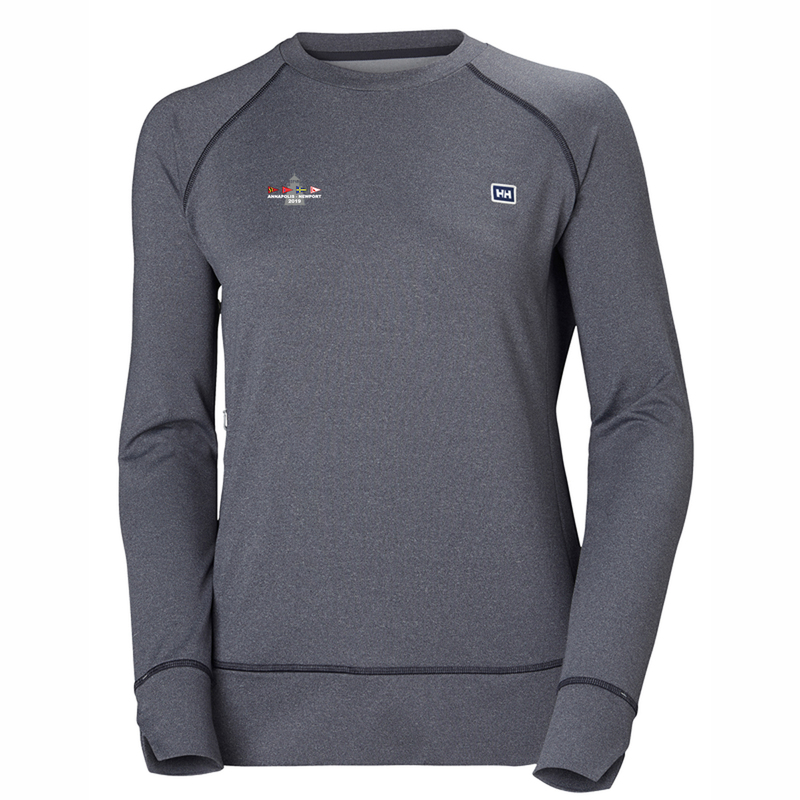 This women's Helly Hansen hyggen long sleeve has the Annapolis to Newport Race 2019 logo embroidered on the right chest. A lightweight comfortable technical knit long sleeve with feminine details. The W Hyggen Long sleeve is a lightweight technical knit with great feminine details great for layering or wearing on its own.